Do you have a deep appreciation for the game? Are you a competitive amateur looking to test your game against the best players in Southern Nevada and surrounding areas? Are you an amateur looking for fun and camaraderie, plus a little completion? 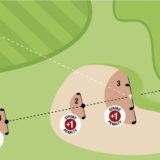 Are you a new golfer looking to become more involved in the grand ole game? Are you someone looking to volunteer and become involved in different aspects of golf? 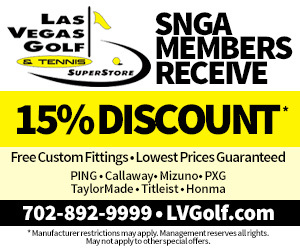 The Southern Nevada Golf Association is THE place to go to—and join—for anything golf related in Southern Nevada. We here at the SNGA are the “keepers of the game” in this area and offer competitive tournaments, casual tournaments, special events, seminars, junior golf tournaments and other events, and more. 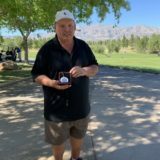 We offer gross and net tournaments throughout the year and have an extensive schedule plus we organize all United States Golf Association qualifiers and events in Southern Nevada. Just take a look around our website and you will find info about our Championship Series (highest competitive level), the SNGA Tour (fun and competitive), how to volunteer, our commitment to junior golf (also visit SouthernNevadaJuniorGolf.com), and everything else we do. The Championship series offers city and state championship events with the best players in the area. The SNGA Tour offers more fun with some competition and features several different formats. Thanks for reading and we look forward to you becoming more involved with the SNGA soon. If you have any questions, feel free to contact us.